Can Cats Eat Bananas And Banana Peels? Can cats eat bananas? Is this fruit safe for felines? Thankfully, it’s a safe fruit that you can give to your furry friend. This is one of those fruits that most people have in their home and you may be tempted to offer it to your cat while munching on it yourself. It’s too tempting to just break a little piece and offer it to your pet. Can Cats Eat Bananas as Healthy Snacks? Are All Fruits Safe for Cats? Since bananas are safe for cats, they can be given as healthy snacks. Some cats even love to eat fruit frozen as a special treat. Frozen bananas offer the extra benefit of hydration-on top of the already large amounts of vitamins within the soft fruit. Bananas and other fruits can be given to cats as treats or healthy snacks as they are low in calories. With that in mind, there is no need to worry about your pet’s weight. Bananas do have a bit of sugar, and sugar not burned off through exercise can cause weight gain. However, your cat would have to eat a lot of bananas every day to even be considered at risk of a banana induced weight gain. Bananas are good to give cats who will eat them. But if you give your cat rotten bananas, they may cause damage to your pet’s body. Be sure to only offer bananas that are ripe, healthy and one you would consider eating yourself. Rotten bananas taste bad, but may even make your cat very sick. Rotten bananas with molds can upset your pet’s stomach causing vomiting and diarrhea. 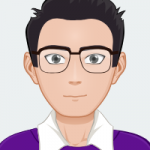 Your cat purging their stomach contents is a good thing as any potential bacteria will be expelled, but there is no reason to offer this food to your cat if stomach upset and mess will come from it. 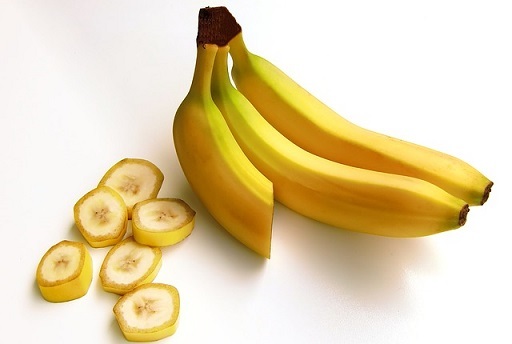 Before giving bananas or other fruits to your pet, make sure that they are still fit for human consumption. If the fruit is not safe for humans, then they are more likely to be unsafe for cats and other pets. Cats have a more sensitive stomach than humans do and lack the digestive system complexity we have. 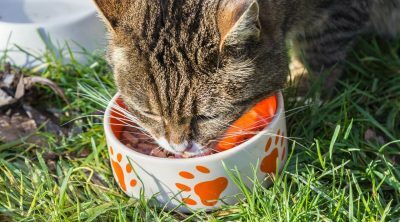 Feeding foods to cats that humans may not be able to tolerate will only disrupt the health of your cat. When you do give fresh bananas to your feline friend, you may want to moisten them first. According to a certain study, moistened diets for cats could prevent weight loss. There is no need for a special preparation to moisten the food. You just need to add water to it. Adding a bit of water will help dilute the fruit and extend the serving a bit. Your cat will think s/he is getting more, but the water simply acts as a filler. Every cat has its own unique allergies. Bananas may be safe to be eaten by cats but your own furry friend may develop allergic reaction to this fruit. There are not any true allergens within the banana to watch out for, but there are some cats who may find their stomach does not agree with the enzymes within the banana. If it is your cat’s first time to eat such fruit, it is ideal to monitor him/her first. Give a little bite of banana and observe how his body reacts. Does your cat actually eat the piece and show interest? Is your cat acting strangely afterward? Take note of any allergy or tummy pain caused by the fruit. Research the breed of your cat and look into whether your particular cat has any known allergies or diet restrictions. Speaking with your vet may also be a good idea in this regard, just to be sure. Just because bananas are a healthy fruit does not mean they can be eaten without regard to amount. Make sure that you do not over feed your cat with the bananas. This is especially true if you cat is already overweight. You still have to measure the amount of banana you feed to your pet. Bananas contain sugar and high doses of sugar are not healthy for your cat. Moderation is the key. High doses of sugar not only cause weight gain and obesity risk, but cats can also develop diabetes. Diets high in sugar may also rot the teeth of your cat and cause many dental issues. Cats need to limit sugar intake just as their human counterparts. When you have fed bananas to your cats for the first time, do not give them another set of fruits. Instead, give fruit one type at a time. 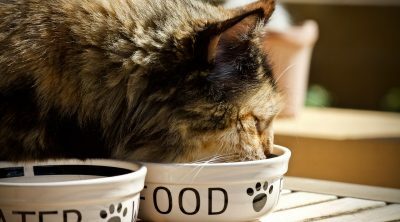 Take note of the major health changes your cats may be experiencing when given the new food. By offering fruits one at a time, you are able to gauge the tolerance your cat has to a specific fruit. If you offer a lot of fruit at one serving, you will not be able to discern which particular fruit caused illness. Most fruits are safe for cats. However, there are fruits that must not be given to cats as they can endanger your pet’s life. Before you feed a banana to your pet, make sure that its skin has been removed. You should not give banana peels to cats. 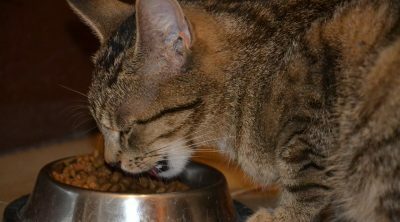 Your feline friend’s digestive system may not be able to tolerate it. Peels can cause choking and intestinal problems-even death. Bananas are not on the list of toxic foods for cats. They are also safe for dogs and horses. As regards to the benefits of this fruit, they do not actually translate to cats. Bananas are high in sugar and your pet may not be able to tolerate it. If you feed your cats lots of bananas every day, they could end up suffering from obesity. They may even develop diabetes. Too much banana on a single sitting may also upset the cat’s tummy. Remember that feline’s digestive system isn’t built to tolerate too much sugar. Although, humans can eat as much bananas as they can, this isn’t the same for cats. A whole banana can take a lot of time to be digested as it’s difficult to breakdown. And if it’s not digested properly, it may cause constipation. That said, you should only feed your cats small amount of banana. This is especially true if your cat is old. Just like humans, the older the cat is, its metabolism becomes slower. With that in mind, make sure that you take your cat’s age into consideration before you even choose to feed him a banana. It may be time for your cat for a senior diet. 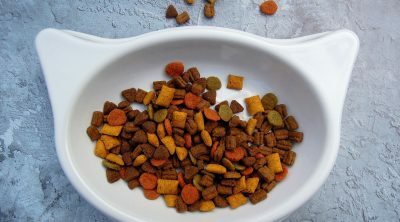 Since all cats are different, it’s best to take note of your cat’s nutritional needs. 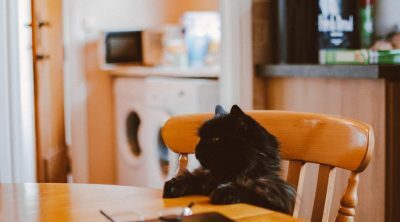 It is also ideal to look into your cat’s individual age, breed, lifestyle, and activity level before determining the type of food you want to feed to your feline friend. Bananas are okay for cats. However, make sure that they eat this fruit in moderation. 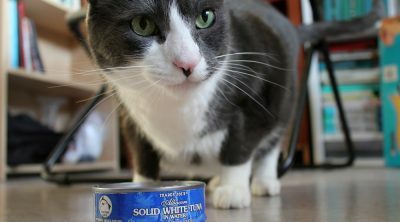 Avoid making it a part of your cats’ diet. MY SISTER GAVE HER SIAMESE CAT A LITTLE BANANA. HE’S ABOUT 2 YEARS OLD. HE WENT CRAZY. HE RAN ALL OVER HER HOUSE. SO—— NO MORE BANANA FOR HIM.